Saint Simon was from Cana in Galilee, and was known to the Lord and His Mother. Tradition says that he was the bridegroom at the wedding where the Savior performed His first miracle. After witnessing the miracle of the water which had been turned into wine, he became a zealous follower of Christ. For this reason, he is known as Saint Simon the Zealot. Saint Simon was one of the twelve Apostles, and received the Holy Spirit with the others on Pentecost. He traveled to many places from Britain to the Black Sea, proclaiming the Gospel of Christ. After winning many pagans to the Lord, Saint Simon suffered martyrdom by crucifixion. 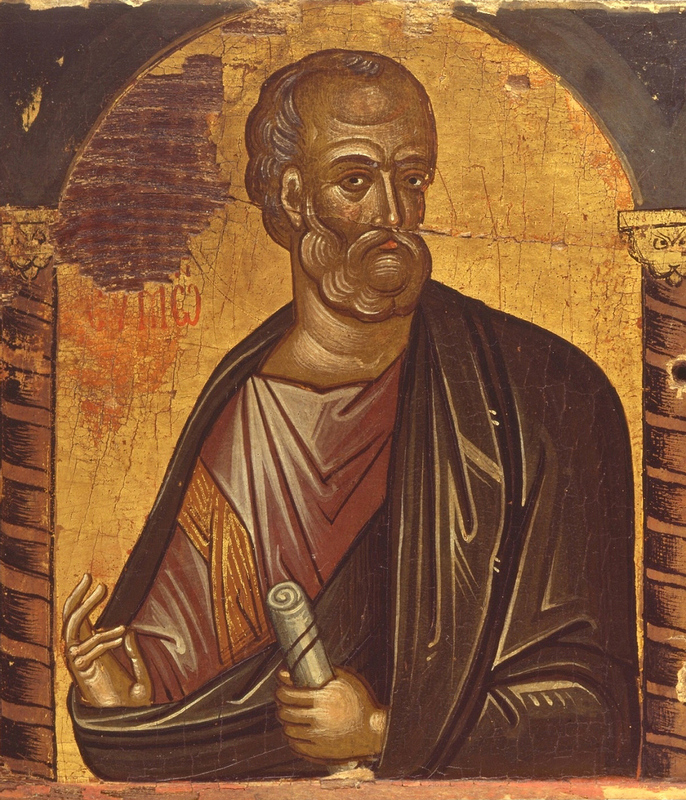 Saint Demetrius of Rostov says that this Saint Simon is to be distinguished from the Apostle Simon Peter, and from the Lord’s relative Simon (Mt.13:55), who was the second Bishop of Jerusalem. Saint Simon is also commemorated on June 30 with the other Apostles. Holy Apostle Simon / entreat the merciful God / to grant our souls forgiveness of transgressions. With praise let us all bless Simon, the herald of God, / who established the doctrines of wisdom securely in the souls of the pious. / Now he stands before the throne of glory, / and rejoicing with the angels, he unceasingly prays for us all.